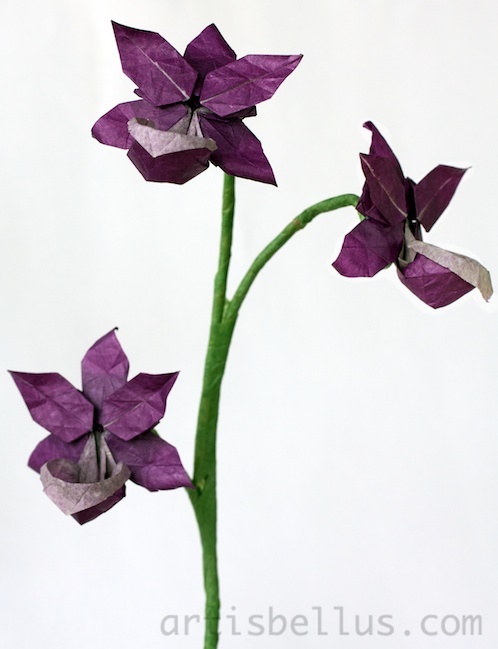 I designed this Orchid for the contest "THE ONCIDIUMS' JOUSTING IN HONOR TO TOMOKO FUSE", organized by Eric Madrigal. 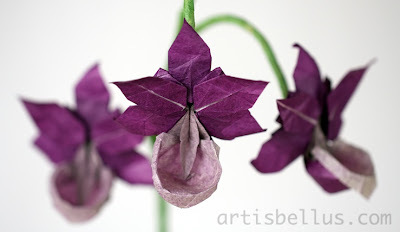 To find more information about the contest you can visit Eric's blog. Oncidium is a genus that contains about 330 species of orchids. 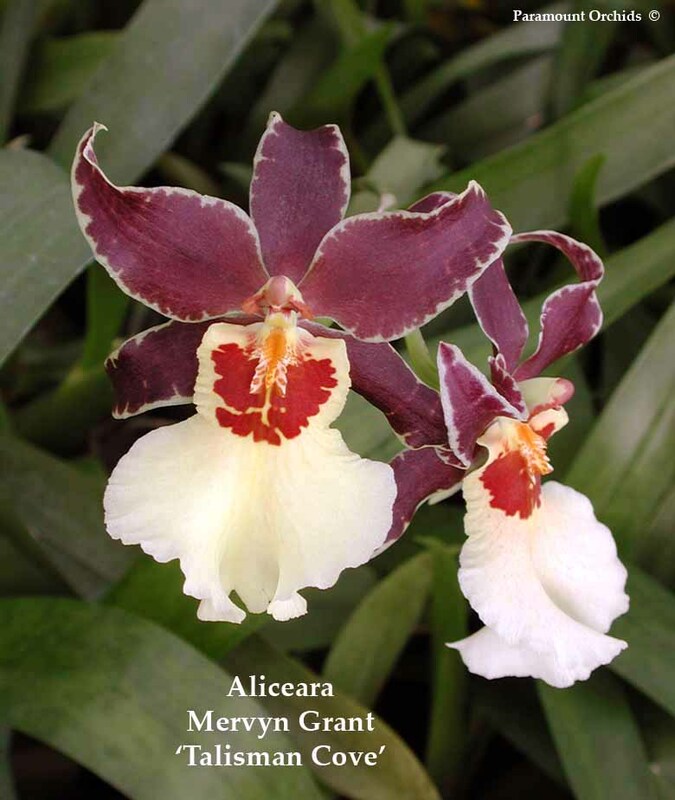 My design is inspired in one of the Oncidium intergenerics, called Aliceara Mervyn Grant 'Talisman Cove' (click here for a picture ). Each orchid was folded with one hexagon of purple/white double tissue paper, and a triangle of purple double tissue paper, joined without glue.